The term Contract Manufacturing seems to be a term used for a wide variety of manufacturing relationships. To us, it usually suggests a contract to build a single or a few units, but not with a typical production process like our work with OEM companies. The process of Contract Manufacturing usually begins with a company bringing us a fairly complete design for a product they want to have manufactured. They know what they want and know how it should be built, but they want Bent River Machine to execute their plan by making or procuring the parts, putting the product together and doing the final integration for them (as opposed to wanting us to actually design their machine). Usually this is a result of them having a gap in their manufacturing process that they need us to supplement. 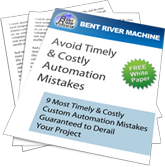 Typically to start with the contracting company will provide Bent River with a complete set of documentation. Sometimes the contracting company will have a set of complete mechanical drawings but require us to work out their schematics or controls. Our ability to fill in gaps in our costumer’s process is the biggest advantage we have to offer companies interested in contracting manufacturing. Another thing we can offer to companies through contract manufacturing is taking a prototype and transitioning it for manufacturing. Companies give us their product and ask us to find ways to make it cost effective and more robust. They also may need help actually finalizing all the documentation. When the product fits their needs they can take it and produce it. This is something that Bent River Machine has done for quite a few customers, very successfully. We understand that our contract customer desires the most cost effective, yet robust system that is able to be manufactured. Sometimes our customers are staffed in such a way that part of the design is easy for them but truly completing the package and building exactly what is documented in a repeatable fashion is difficult. At Bent River, we work hard to ensure that not only is the process smooth but that we are always working towards our contract costumer’s defined goals. 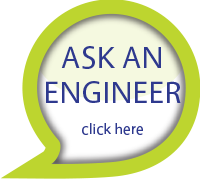 Our experience designing, building and validating machines is very valuable resource for manufacturing companies. If we are contracted to provide a prototype or prototype documentation we also provide complete bills of materials, and detailed lists of the different pieces comprising the product. We are meticulous about including all details, however obscure, needed to insure that the contract costumer can easily manufacture their product in the future. From a napkin sketch to a finished drawing, our team can help you bring your ideas to life.